Charlie Brown and the Great Pumpkin seem to be everywhere this Halloween. I love the idea of a great pumpkin flying through the sky to each pumpkin patch waiting to give each good little boy and girl gifts on Halloween. So you may be waiting for the Great Pumpkin to swing by your house too. Wait in style with these fun candy bar wrappers for your Halloween party! Do you like to give great gifts and thoughtful cards? Our wrapper membership club is a great way for you to add a little something extra to your next birthday, thank you, holiday, or "thinking of you" card. Each week you'll get a brand new candy bar wrapper printable that you can download, print, wrap around a Hershey 1.5 ounce candy bar, and give to your loved ones. With prices starting at only $5.00 a month, you'll get exclusive, one of a kind candy bar wrappers that are as fun to give as they are to receive. 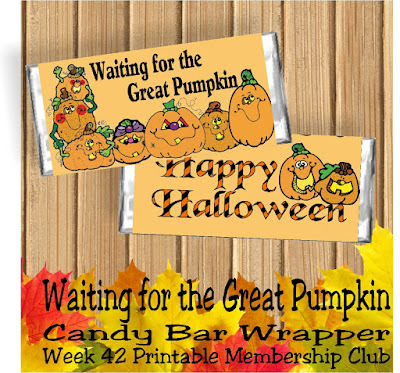 Follow Kandy Kreations's board 2015 Candy Bar Wrapper Printable Membership Club on Pinterest. Each wrapper style comes in a JPG and PNG format to suit your style and printing needs. You'll also receive a single wrapper on a page printable with all the greetings and sentiments you see, a blank candy bar wrapper with just the graphics so you can enter your own sentiments in your favorite graphics program, and a page with 2 candy bar wrappers per page complete with greeting. NEW LOWER PRICE! 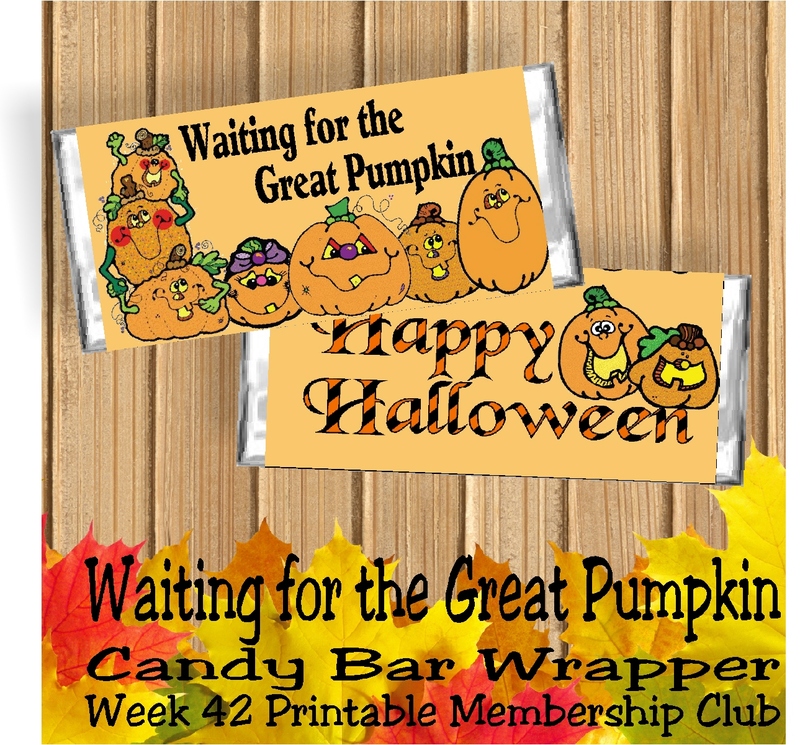 You can now get all 52 of the 2015 candy bar wrappers for only $25.00!